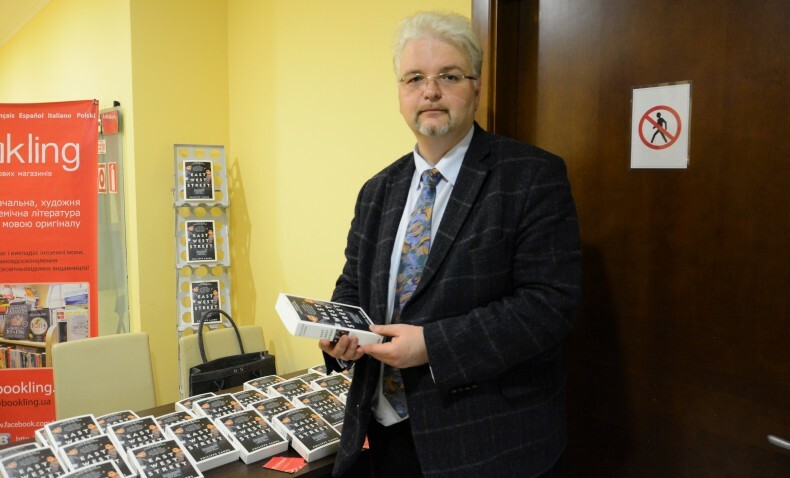 On the eve of the International Conference “Post-conflict justice in Ukraine” British QC presented his bestseller “East West Street”. Today the International Conference “Post-Conflict Justice in Ukraine” has started. The conference bring together more than fifty reputable scientists and experts from Ukraine, USA, Australia, Azerbaijan, the United Kingdom, Denmark and other countries. They will discuss the implementation of international law standards in the field of human rights and international humanitarian law during and after the armed conflict, the application of mechanisms of post-conflict justice to “hybrid” armed conflicts and other relevant issues in Ukrainian reality. The event is organized by the Ukrainian Helsinki Human Rights Union, the European Society of International Law, and the Ukrainian Association of International Law. According to Mykola Hnatovskyi, President of the European Committee for the Prevention of Torture, the conference is unique from several points of view, because there is the first major scientific event in Ukraine, organized with the participation of the European Society of International Law. He stressed that this is a sign of integration of Ukrainian International Law to Europe. 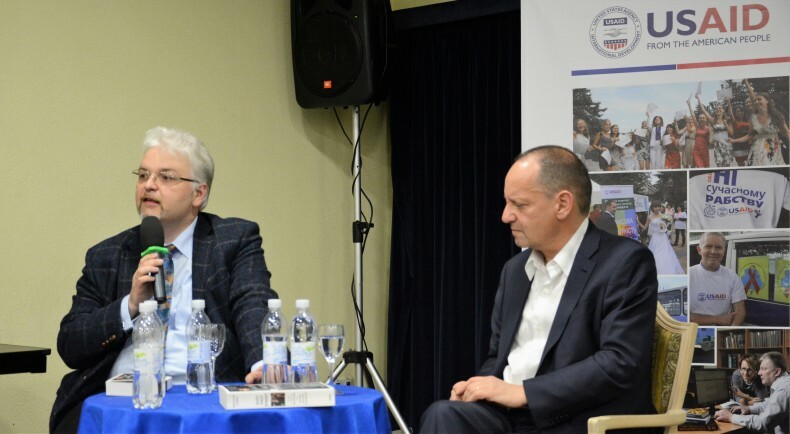 The conference comes at a time when the conflict still continues, and as Mykola Hnatovskyi stressed, many people feel that the issue of post-conflict justice is perhaps premature. “We have to be prepared to restore peaceful life in Ukraine. Now it is necessary to do it now and to create the conditions for this now. It is not enough to wait till the end of the conflict “, said the researcher. Actually, regardless how quickly the occupation of Ukrainian territory by Russia would have stopped, together with the activities of anti-government armed groups in Ukraine, deep problems will last for a long time. Post-conflict justice exists in order to solve them. Post-conflict justice is the theme of the conference, which experts from different continents will participate. One of their tasks will be to discuss recipes that fit in the Ukrainian situation. On the eve of the conference, two films “Soft Vengeance: Albie Sachs and the New South Africa” ​​and “My Nazi Legacy” were presented. The theme of the first film was the figure of Albert Sachs, a former judge of the Constitutional Court of South Africa and fighter against apartheid. Mr. Sachs is also a participant of our conference. The second film, the screenplay of which was written by Philippe Sands, tells the story of two men whose parents were deemed responsible for war crimes during World War II. His other book “East West Street” is dedicated to the other side of the theme. The characters – Hersch Lauterpacht and Raphael Lemkin – were lawyers from Lviv. The first man was one of the authors of the concept of human rights as a norm of international law, and the second man was a researcher and lawyer, known for the introduction of the word “genocide” as a legal concept. 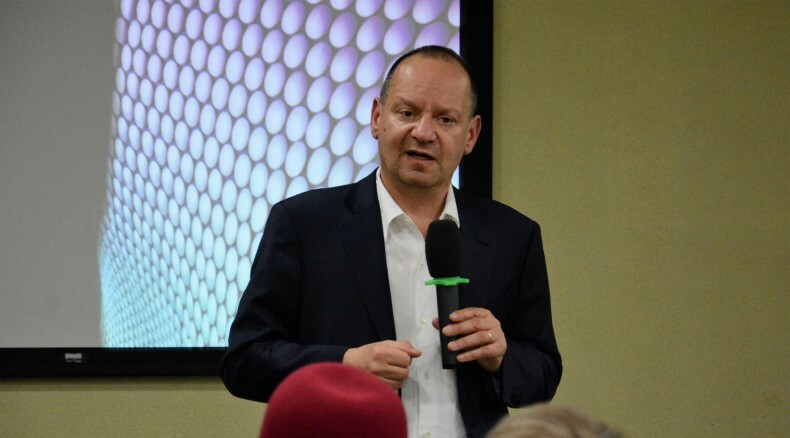 Philippe Sands, who previously has often been to Lviv, has visited Kyiv for the first time. He underlined the importance to cover the conference topics, as in Ukraine many questions from the present and the past cause heated debate. The following year, his bestseller dedicated to researchers of genocide is preparing to be released in Ukrainian language.